I have a confession you guys, I took a cruise in June and I didn’t blog about it because I felt guilty as sh*t. On Tue, Jun 13 someone messaged me about my upcoming trips and I was all like, “Nah I’m not going anywhere for a while, I’m getting my broke life together, blah blah blah!” On Wed, Jun 14 I was like, “F*ck this sh*t!” and booked a cruise from Orlando to Nassau for Thu, Jun 15. My daughter and I went on a "Cruise to Mexico" back in 2015, it was kinda painful because she didn’t wanna do anything on board. She was 17 at the time and in that weird stage where she was unamused by everything although she did love our day excursion of snorkeling and 4 wheeling in Mexico. I honestly was in Mexico looking up flights to just fly home, but they were too expensive. 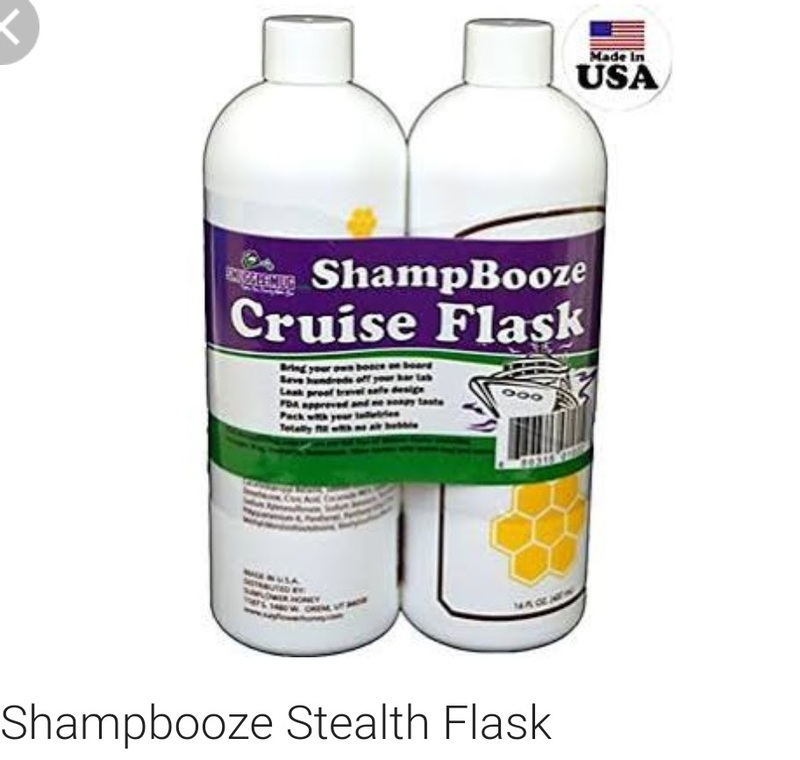 I did however have two 32oz cruise flasks that looked like Shampoo and Conditioner bottles so I stayed feeling NIIIICE. I let someone borrow those bottles and have no idea who *can’t let brown people borrow jack ish*. Being that I booked this cruise 1 day before I needed to fly out, I didn’t have time to Amazon Prime a replacement set. I only found one of my 12oz lotion flasks, I have so many flasks but of course they were all missing in action when I REALLY REALLY needed them. 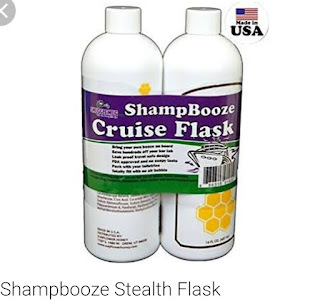 How the *BEEP* am I supposed to STAY THIRSTY cause I sure as heck wasn’t gonna buy the $40/day alcohol cruise package. So I had to get resourceful, I think I was MacGyver in my past life (sorry young ppl that don’t know who MacGyver is). I went to Walmart and bought 3 Travel bottles sets, each containing 4 – 3oz bottles and I filled em all with 151 (whoop whoop)! 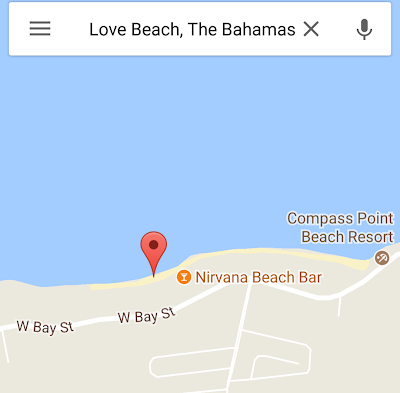 Left Orlando (Cape Canaveral) Thursday afternoon and arrived in Nassau bright an early Friday morning. Rode around the island doing pointless photoshoots and then stopped at Love Beach for a few hours of R&R. 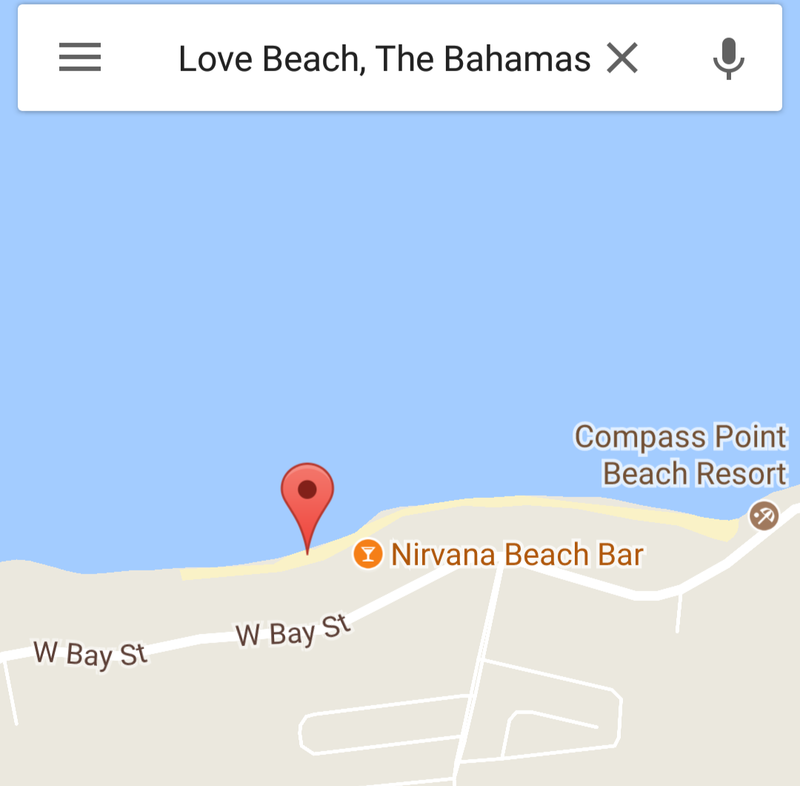 When my daughter and I went to "Nassau back in 2012" we spent our last day on Love Beach and it was amazing. The beach is right by the airport so you have planes flying above you & it’s really cool. Beautiful, super clear water enclosed in reef so I don’t have to worry about a sneak attack from a shark. *Another confession* although I know how to swim, I never swim much passed where I can stand at the beach cause I’m afraid of being attacked by a shark. I like to stay close to land so I can quickly escape while the adventurous people get eaten alive. Ended the day in Nassau shopping for Henn White cause The Bahamas is one of the places that you can get it for the Low Low (just an FYI, other low- low countries include Trinidad and Panama). Back on the cruise for the nap of a lifetime and then grub. The dining on the cruise ship was amazing!!! When I cruised with my daughter she wanted burgers and fries or pizza for dinner every nights and I’m a pretty easy breezy person, so I obliged. I got to eat like a mutha frekkin champ this go round. Definitely came back a few pounds heavier, but No F*cks Given! Yes I wear my sunglasses at dinner. Ghetto Fab! Spent Saturday at sea drinking my life away, basking in the sun, and gazing upon the marvelous Atlantic Ocean. My 1st cruise was not the best experience, but I decided to take a chance and give it another shot and surprise surprise I had a blast... I look forward to cruising again. Now that its a couple months post trip, I feel less guilty about blowing thru $$$ I was supposed to be saving. "Que Sera Sera"
The WIFI ($5/day for social media) was much more affordable than it was when I went with my daughter , but still pretty much useless. Slow as sh*t, but it is so hard to detach from the matrix. I guess slow WIFI is better than no WIFI. The ship had an app that they didn’t have last time which was pretty cool. They give you a paper itinerary each day of ship activities, buts it’s usually lost by noon. The app had the activities, maps, and much more useful info. Made it so much easier to plan my days like, "Ok dinner at 6pm, Comedy Club at 8pm, Karaoke at 9:30pm, Night Club at 11pm, late night snack at 1am" then have a map to each location. AWESOME! 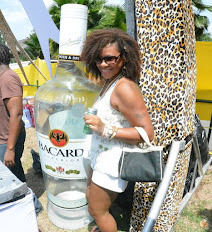 I can usually be found at Caribana or Cropover this time of year, but I recently realized that I am mutha *BEEPn* poor and I need to sit my rass down! I don’t understand, it’s like the older I get the less $$ I have to blow on foolishness. What’s happening??? I wanna attend every ATL Falcons football game & ATL Hawks basketball game, I wanna go to happy hour every day and dinner with the homies every night. I wanna blow a bunch of $$$ on stuff I don’t need from Amazon and ebay. I wanna travel to every carnival and take a vacation to fun places every month. Le Sigh. So this month I was like hmmmm I have $14.93 in my account, where can I go to for the LOW LOW and still have a frekkin blast? My 2nd favorite US city... Meejami of course! I packed a few peanut butter & jelly sammiches and a sh*t ton of flasks & hopped a flight to MIA. Stayed at a small Kimpton boutique hotel called Angler's on Washington, 2 blocks from the beach. I haven’t stayed at a Kimpton property in like 10yrs, I forgot how top notch their service is. Might have to take a break from the huge hotels and go the boutique route more often. They especially won our hearts with the daily free wine and cocktails happy hour. YES LAWD!!! 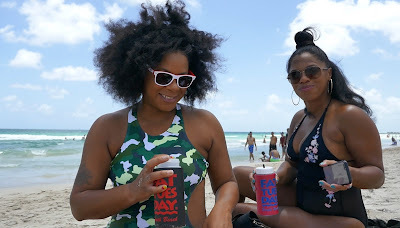 So the weekend was basically spent enjoying the beach, some pools, and plenty booze! We did also hit a mega club which was interesting. We go to more so lounges or small clubs in ATL, but in MIA we just went with what was close. When trying to decide what I would wear out I asked Google for advice. Dear Google, What’s a good party outfit for someone who isn’t serious about life & hasn't worked out in a while? I promise this was the 2nd option that popped up & it hid everything that needed to be hidden. Thank you for coming thru Google! 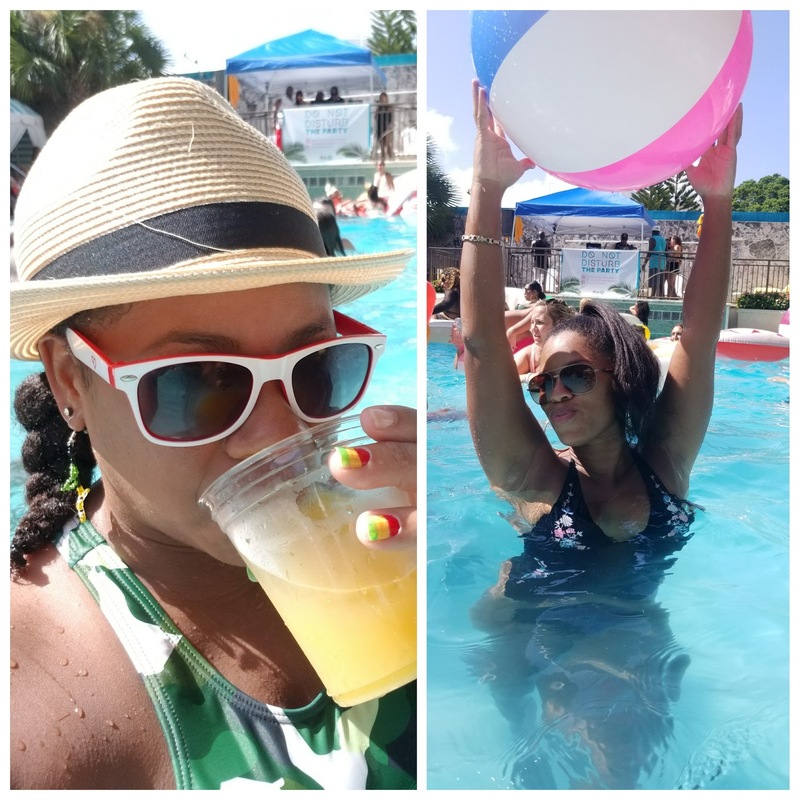 Aside from countless hours at the beach, we also hit up a pretty lively pool party. I encourage you to check out @DoNotDisturbTheParty if you are ever in MIA bored on a Sat or Sun afternoon. Good times indeed. This is what I imagine a Vegas pool party to be like, but of course on a much larger scale. I’ve been to Vegas a couple times, but never on a TURN UP with the homies trip. Would you believe I actually spent one Vegas trip in art galleries? Who knew Vegas had such fine art? Don’t judge me, I was in search of Tom Everhart’s work, not that I can afford it (Everhart is the ONLY artist in the world authorized to paint Peanuts comics characters). I did however come back with some much more affordable Everhart lithographs, so Vegas was a success in my book. My bad I totally wandered away, I do that sometimes. So I leave you with a few captured moments of what poor people do when they can’t afford to leave the country! They ball on a budget & have pointless photoshoots!! !